If you’ve ever seen Matthew Kelly give a talk, the first thing you notice about him is, of course, the accent: Whether this impassioned Catholic is speaking to a filled-to-capacity church about the importance of the Mass or to a room full of suits about ethics in management, his message is swathed in a thunderous Australian drawl. And the man is never still. As he prowls the stage like a well-tailored panther with a mike, his arms are usually akimbo—his eyes widened with excitement about the message he conveys. It’s a message Matthew Kelly, The New York Times best-selling author of Rediscover Catholicism and founder of DynamicCatholic.com, has been spreading to millions of people in over 50 countries since 1993. But what inspires Matthew Kelly? Engaging and rousing Catholics, to be sure, but this 38-year-old has found his role as father to one-year-old Walter to be singularly defining. Recently, St. Anthony Messenger spoke with Matthew Kelly about matters of faith,self-improvement, his struggles to reach an evergrowing number of disengaged Catholics and balancing life as a new father. Q. How has fatherhood changed you and your approach to life? A. The biggest changes have been spiritual. Two in particular: God loves us. We hear this all the time in Christian circles, and for some reason I have always believed it. But now I feel it. It has become real to me in fatherhood. You see, I love my son so much. I love him more than I ever thought I was capable of loving. And if I can love him this much—with all my weaknesses, brokenness and limitations—how much must God love his children! God yearns to be with us. When I am at the office, I can’t wait to get home and roll around on the ground with my son, to kiss and cuddle him. When I am away from home traveling, I miss my son. I miss his touch, his noises and the sweet smell of his skin. I just yearn to be with him. wants to be with us. Q. What do you love most about being a dad? A. What I love most is the privilege of watching my son, Walter, grow and develop. The development of a child is a wonderful testament to the loving genius of God that exists in every aspect of nature, but especially in the human person. Q. What message do you want to convey to your son? A. That his mother, Meggie, and I love him, that we live for him, that in small ways each day we are willing to lay down our lives for him. Through this I hope he develops an appreciation of our faith and God’s dream for him to become the best version of himself. Q. What lessons did your own father give you? Do you in any way try to emulate your own father? A. The older I get, the more respect I have for my father. I am the fourth of his eight sons, and looking back, I just don’t know how my parents did it. I don’t know how they did it financially and I don’t know how they managed to spend so much time with us. If I learned anything from my dad, it was to take an interest in what interests my children, and spend time with them. It is when we have that carefree timelessness with children that they really open up and engage us in conversation. Q. What words of encouragement can you give to fathers today? A. The same words of encouragement I speak to myself from time to time in my work, in my marriage and in my parenting: Don’t let what you can’t do interfere with what you can do. Q. What advice can you give new fathers? A. My advice to a new father would be to get involved and stay involved in the life of your child. Fatherless children are all too common in our society today, and the cost to children and society of this trend is yet to be fully realized. Fatherhood is a unique gift, responsibility and challenge that I hope more and more fathers can rise to—including myself. Q. Describe your upbringing. How was faith a factor in your early years? A.We all come to a point when we either decide to make the faith of our childhood our own or reject it. I grew up in Australia with my seven brothers. We went to Catholic schools and church on Sundays, said grace before meals, but it was probably not until my mid-teen years that I became really engaged as a Catholic. Of course, the love of my parents and the Catholic experience had prepared me to make the faith my own. Q. When did you receive the calling to put your faith into action? A. It was a very gradual thing. I was invited to speak at an event. Someone there invited me to speak at another and that was how it went for about six months. I didn’t wake up one day and think to myself, God is calling me to be a speaker and a writer. And all of this was secondary. The real and persistent call to put my faith into action from when I was about 15 was a call to live differently than the culture was encouraging me to—to love deeper, to have more concern and compassion for the needy and marginalized. Q. 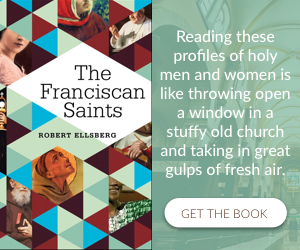 How did your book Rediscover Catholicism come to be? 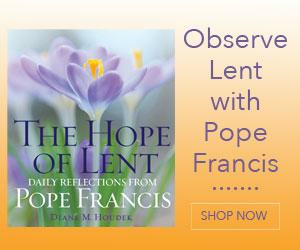 What made you rediscover Catholicism and feel the need to have others do the same? A. Rediscover Catholicism was my eighth book, written almost 10 years after I started speaking and writing. The reason I wrote it was because I think there is genius in Catholicism, and I wanted more people to appreciate our faith. Q. You have a huge appeal with younger Catholics. What advice do you give them in regard to their faith and potential? A. I give the same advice to people of all ages: Explore the faith, read great Catholic books, listen to great Catholic speakers. If you have a question or a doubt, explore it rather than letting it fester. Dive in deep to an issue that you have questions about or disagree with. It is there that you will discover the genius of Catholicism. Q. Do you feel young Catholics are disengaged from the Church and from their faith? If so, how can they be energized? A. Disengagement is a huge problem in the Church across all age groups. When 70 percent of Catholics don’t go to church on Sunday, isn’t it time we did something? I think it is. The most successful program we have for reengaging disengaged Catholics is our parish book program. In 2008 we started making copies of Rediscover Catholicism available in bulk to parishes for just $2 a copy so they could pass them out at Christmas Masses. It is our opportunity to re-engage them, and we didn’t want them going home empty-handed. Books change our lives. 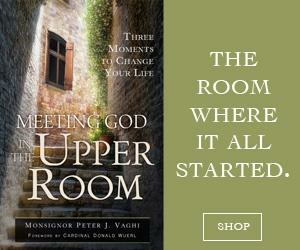 It’s amazing how a good book can bring someone back to the Church. Only one percent of American Catholics read a Catholic book last year. That has to change if we are going to energize Catholics and increase the level of engagement in the Church. Q. You speak to audiences from a faith perspective, but you also speak regularly in the business world. What are the challenges of both? Does one inform the other? A. Most of what I speak about goes to the core of human nature. I believe God’s dream for each of us is to become the best version of ourselves. I speak to people about becoming the best version of themselves, regardless of the audience or venue. lots of people would want to work. I find my work in the corporate world and my work in the Church inform each other in many ways. I believe the key to a bigger future for a business or the Church is people, and people who are hungry for best practices and committed to continuous learning. Q. You’ve spoken to millions in more than 50 countries. What’s your travel schedule like? What are some of your best memories? A. My best memories are of people rather than places. I remember the first night I spoke in the United States, in Dallas in 1994, the people were so energized. I will never forget that. Today my travel schedule is much lighter than it has been in two decades. Some would still find it grueling, but in truth, it has been scaled back by about 70 percent so that I can focus on the ambitions of DynamicCatholic.comand spend time with my growing family. Q. You seek to spread inspiration. How badly is it lacking in our world today? Where do you find inspiration? A. People don’t do anything until they are inspired. Inspiration is key. It is lacking in our culture and it is lacking in our Church. I find inspiration in music, books and people. I am especially a fan of audiobooks. Whenever I get in my car, there is a good chance I have a good audiobook playing. Q. Can you give me three-to-five steps to achieving the best version of myself? Do you have a core concept or mantra of that nature? A. I can give you one step: Ask yourself at the beginning of each day, “What can I do today to become a better version of myself?” Then go out into the day looking for opportunities to celebrate your best self. Q. What age demographic have you found to be the most receptive to your message? If I’m 80, can I still be the best me? If I’m 20, how do I start being the best me? A. The most amazing thing for me about the work we do at DynamicCatholic.comis how it appeals to people of all ages. My speaking and writing have a very broad audience. I am constantly amazed at how young children attend an event and what they say to me after I speak, what they took away. At the same time, I have seen the message change people’s lives in retirement. Q. What do you hope to accomplish in the coming years, personally and professionally? A. Personally, I am focusing on being a loving and supportive husband and father. Professionally, I am excited to continue to make a contribution in the business world, and in the arena of ministry, the parish book program andDynamicCatholic.comhave me more excited than I have ever been about our work. Q. Years from now, as you look back on your work, what do you hope your legacy will be? How do you hope to be remembered? A. If the work my team and I are doing has a legacy, I hope that people will continue to be inspired to give Catholicism a second chance, discover the genius of Catholicism, and live the faith with passion and purpose. As for being remembered, I suppose I would like the people who know me best to remember me as a generous person. For me Christianity, at its very core, is generous; and when we are generous to those around us—with our time, money, energy, material possessions, praise, advice, gratitude and talents—people catch a glimpse of God’s love.